1. The content provided is for information purposes alone and does not substitute for specific advice whether investment, legal, taxation or otherwise. ICCMA disclaims all liability for damages caused by use of content on the site. 2. 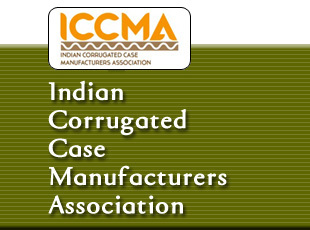 ICCMA has exercised due diligence in checking the correctness and authenticity of the information contained in the site, but ICCMA or any of its affiliates or associates or employees shall not be in any way responsible for any loss or damage that may arise to any person from any inadvertent error in the information contained in this site. The information from or through this site is provided "as is" and all warranties express or implied of any kind, regarding any matter pertaining to any service or channel, including without limitation the implied warranties of merchantability, fitness for a particular purpose, and non-infringement are disclaimed. ICCMA and its affiliates and associates shall not be liable, at any time, for any failure of performance, error, omission, interruption, deletion, defect, delay in operation or transmission, computer virus, communications line failure, theft or destruction or unauthorised access to, alteration of, or use of information contained on the site. No representations, warranties or guarantees whatsoever are made as to the accuracy, adequacy, reliability, completeness, suitability or applicability of the information to a particular situation. 3. ICCMA or its affiliates or associates or its employees do not provide any judgement or warranty in respect of the authenticity or correctness of the content of other services or sites to which links are provided. A link to another service or site is not an endorsement of any products or services on such site or the site. 4. All text, graphics, audio, design and other works on the site are the copyrighted works of ICCMA unless otherwise indicated. All rights reserved. 5. Content on the site is for personal use only and may be downloaded provided the material is kept intact and there is no violation of the copyrights, trademarks, and other proprietary rights. Any alteration of the material or use of the material contained in the site for any other purpose is a violation of the copyright of ICCMA and / or its affiliates or associates or of its third-party information providers. This material cannot be copied, reproduced, republished, uploaded, posted, transmitted or distributed in any way for non-personal use without obtaining the prior permission from ICCMA. 6. All responsibility and liability for any damages caused by downloading of any data is disclaimed. 7. ICCMA reserves the right to modify, suspend / cancel, or discontinue any or all sections, or service at any time without notice. 8. ICCMA reserves the right to make modifications and alterations in the information contained on the site without notice. 10. All legal proceedings shall be subject to the jurisdiction of the courts in Kolkata, India and shall be governed by and construed in accordance with the laws of India. 12. The Company information provided on the ICCMA web site is as per data collected by companies. ICCMA is not liable on the authenticity of such data.